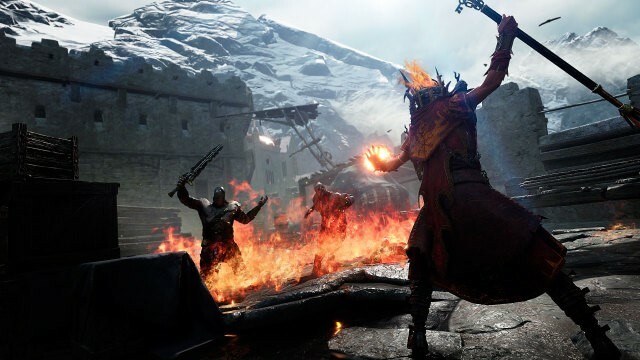 Warhammer: End Times – Vermintide was a gritty, gore-soaked co-op FPS set in the long-running franchise’s fantasy universe. While it wasn’t perfect, Vermintide offered fans and newcomers alike plenty to enjoy. The characters and environments looked great, the action was fast-paced, and the choice of five different character types added some depth. Its co-op gameplay and level structure was compared fairly to Left 4 Dead, albeit with rodent-like enemies trying to rip your face off rather than zombies. 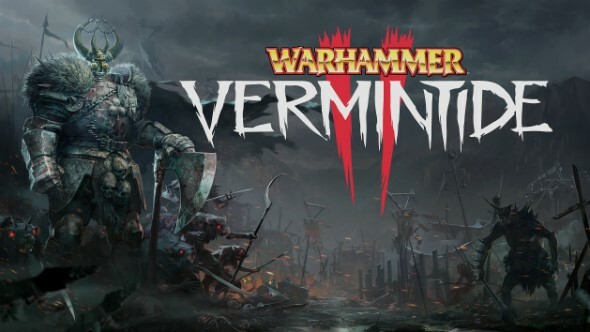 The awesomely-named Fatshark are set to release Warhammer: Vermintide 2 on March 8th, on PC; versions for the PS4 and Xbox One will follow later in the year. The game is shaping up to look like more of the same, with you fighting to protect the Empire from the combined forces of the Skaven and Chaos armies, using an assortment of brutal weapons and abilities. There are five playable characters again, each with three different careers (making 15 in total, maths fans!). Each of the heroes has a distinctive playing style and a unique talent tree to work through. The career you choose for each will dictate the gear and skills you have available. 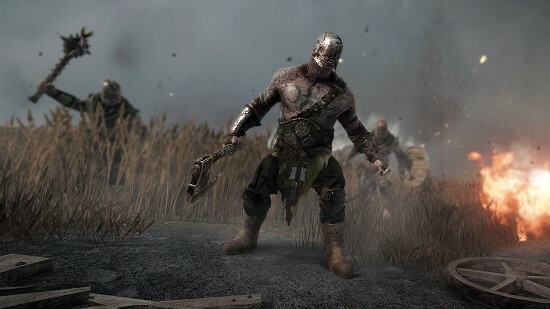 For example, Dwarf Bardin can be a Ranger Veteran, Ironbreaker, or Slayer: you will either get to focus on ranged weapons, heavy armour, or sheer brutality. Each variation of Bardin will deliver its own playing experience, and add more longevity to the game. Kerillian the wood elf can be a Shade, a Waystalker, or a Handmaiden. Shade puts an emphasis on stealth and attacking from the shadows. The Waystalker focuses on a bow and arrow, and the Handmaiden revolves around melee fighting, spears, and armour. Victor Saltzpyre is able to be a Bounty Hunter, Witch Hunter Captain, or a Zealot. Bounty Hunter gives the hero reinforced armour and ranged weapons, while Witch Hunter Captain is based on swordplay and speed. As a Zealot, Victor is more of a ferocious faith-focused melee combatant. Sienna Fuegonasus is playable as a Battle Wizard, Pyromancer, and Unchained. Battle Wizard gives her huge fire-based spells, Pyromancer is similar but at a more controlled level, and Unchained gives her flaming armour and incredible magical power. Last but not least, Markus Kruber is a Foot Knight, Huntsman, or Mercenary. As a Foot Knight, Markus is protected by strong armour and has honed close-combat skills, but the Huntsman emphasises ranged weapons instead. Mercenary combines the two. As you can see, the choice of career will make a big difference to how you face enemies and fare in different situations. Every career has its own talent tree, so you can upgrade according to the playing style you like most. The core gameplay will remain the same, with horde-based action and various objectives to be completed in each mission, but this time you have to fight the Chaos forces as well as the Skaven. They’re an entirely different type of enemy to the latter rat-people, due to the huge suits of armour they wear, their massive weaponry, and their otherworldly weirdness. Bringing down Chaos forces won’t be the same as bringing down the Skaven, and demand more persistence (and teamwork) to kill. Multiple types of Chaos enemies have been confirmed so far, including Warriors, Nurgle, and Spawn. The Spawn are pretty grotesque, resembling weird, gross mutated things that look completely different to the armoured Chaos Warriors. Still, they’re incredibly powerful and fast, with sharp teeth aplenty. You will have your own hub, known as the Keep, which gives you space to prepare for the main game. You can select missions from here, experiment with weapons in a dedicated practice area, and more. Warhammer: Vermintide 2 promises a different playthrough one after the next. How? The Spawn Director keeps changing enemies’ spawn locations and formations, to prevent the action getting stale (and to make sure you don’t get complacent either). The game will also introduce the Heroic Deeds System, made up of consumable quests taking players to new environments and altering the kind of opponents you’re up against. You’ll acquire these through the loot system, and they are made up of solo and co-op challenges. Along with the Spawn Director, the Heroic Deeds should help to keep the action fresh and exciting throughout. The loot and matchmaking systems have been transformed too, with loot tied to the hero and career you’ve chosen, letting you create a more bespoke experience. The PC version of Warhammer: Vermintide will be released in a couple of weeks. While PS4 and Xbox One owners have to wait a little while longer to play Warhammer: Vermintide 2, it looks like it should be worth it. The upcoming Warhammer: Vermintide 2 pits you against Skaven and Chaos forces, and introduces some exciting new features. Are you looking forward to more Warhammer: Vermintide action, and what did you think of the original?